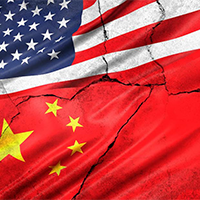 China just signaled that it’s prepared to drag out the trade war…. This is the fourth time this year China’s lowered its RRR to help boost its economy. China’s stock market is down significantly over the past several months. But it’s not backing down from the fight. 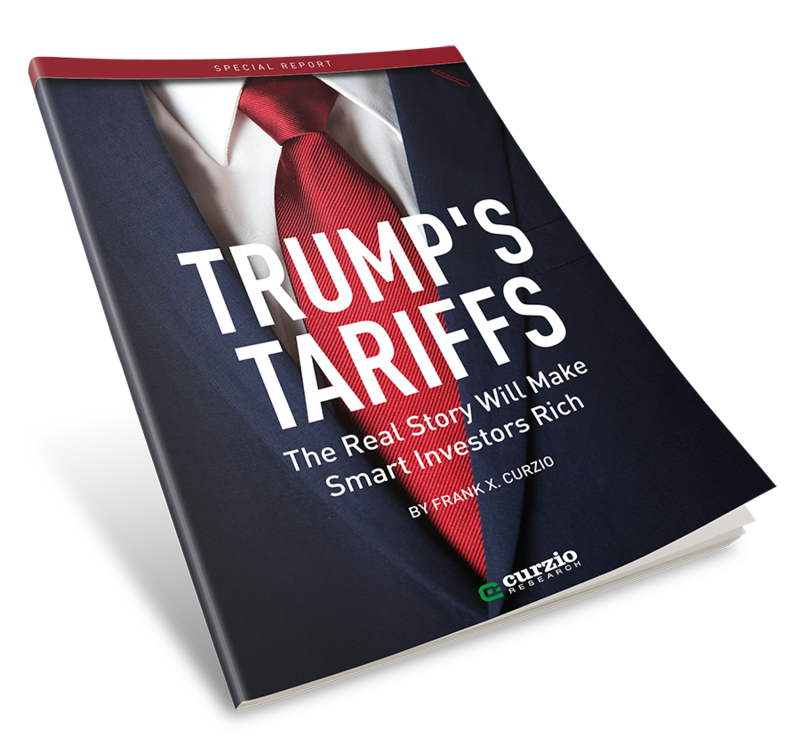 And as you’ll see, it has a full deck to play with in dragging out tariff negotiations with the U.S.
And as we move forward with tariffs… and back-and-forth negotiations… you should expect more volatility in the Chinese market and the U.S. market. Could This Tiny Stock Surge During Trump’s Trade War? As tensions between the U.S. and China escalate, informed investors stand to make a lot of money on a little-known $1 stock… Why? Because this company possesses a rare resource used in nearly ALL smart electronics…Phones, tablets, computers, even missiles. Right now, China controls 90% of this resource. But it could pull the plug as a negotiation tactic on Trump. All of a sudden, everyone would turn to this one company. And if you know the full story, you could make a fortune. In September, President Trump slapped another round of 10% tariffs on $200 billion worth of Chinese products. These tariffs will jump to 25% beginning in 2019. The U.S. imports much more from China than China does from the U.S. This is to our advantage. Longer term, Trump’s threatened tariffs on almost all imports from China, totaling over $500 billion. The current RRR is 15.5% for China’s biggest banks and 13.5% for smaller banks. The 1% drop in these ratios will take effect this Monday, October 15. The RRR is the amount commercial banks must keep at China’s central bank. Think of this as “safe” money banks must keep in cash to prevent becoming over-leveraged. By cutting the RRR levels, China is injecting about 750 billion yuan (109 billion USD) into its economy. About 450 billion yuan will go toward repaying China central bank loans. The rest will be used for lending to small businesses to spur economic growth. These actions are intended to help the Chinese economy offset any headwinds from the U.S. tariffs. And China’s government can act much faster than other governments because of its power structure. When a decision is made at the top, it’s final and ready to be put into motion. No voting, debate, or filibusters. China’s RRR actions show it’s willing to up the ante… even in the wake of increased threats from President Trump. You should expect headlines about negotiations being “on and off again” over the next several weeks. China has options to fight back. The RRR can be cut even further. Another percentage or two will continue to juice its economy with billions in liquidity… and help offset slowdowns from the tariff impact. Plus, China can let its currency weaken against the U.S. dollar, which would help boost exports. It can also give higher tax rebates to exporters—those who are negatively affected by tariffs. If you have exposure to Chinese equities, be cautious. As you can see above, the Shanghai Composite has dropped about 20% since tariff negotiations started. Many popular names like Tencent Holdings (TCEHY) and JD.com (JD) have dropped well over 20%. Right now, it’s clear the U.S. is winning. But volatility will continue. Focus on investing in the U.S. market, which has a growing economy and momentum from tax cuts and consumer confidence. And think about moving some cash to the sidelines. If prices continue to move lower, you’ll have the opportunity to scoop up great companies at lower prices. Note: China has another ace up its sleeve… restricting exports in a resource the entire world needs. If it plays this card, certain companies will skyrocket… especially a little-known producer that—for now—trades for only $1. It’s a rare window of opportunity… And early investors stand to make a killing. To learn all about it, go here.